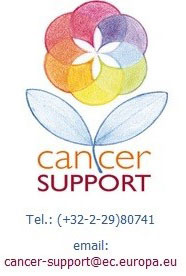 The Cancer Support Group would like to thank you for you constant support to our activities. Your recent book sale offered our association 1830 euros. This is a huge gift as it allows us to make a difference and be more helpful to colleagues; this money allows us to offer tailored support to those who most need it. In 2018, we had initiated new activities that were immediately embraced by colleagues. From groupes de parole dedicated to caregivers to conferences on sensitive topics like how to talk to colleagues who are fighting the illness, how to explain children that a loved one is touched; we could also offer punctually support to teams who wanted to be more present for one of their team members. We do our best to bring a fast and specific support to all those who contact us. 2019 opened with a programme dedicated to helping colleagues prepare better for coming back to work. This specific programme is still ongoing and it includes a groupe de parole, a conference, coaching sessions (EN and FR) and a good ear to listen to colleagues at any moment via our dedicated phone line – the extension 80741. In the second part of the year we have plans for new activities designed to help everybody who is interested find information and support related to the adoption of a healthy lifestyle (mainly quit smoking, lose weight). Every year for the last three years we helped a bit outside even with our limited resources we did our part of colibri work. In 2017 we have published a first book, “Je ne vais jamais oublier ton fameux tiramisu”, written by our colleague, Ana de Morais, and the proceedings went to Les Amis de Bordet. In the same year, we have also helped a “Scalp Cooling” project in a Belgian hospital, meant to limit the psychological impact of chemotherapy. In 2018, we have published another book, the Polish version of “Anna & Evelyne: Histoire de deux vies“, written by our DG COMP colleague, Anna Tylman. The proceedings went to “Kick Cancer“, a Belgian Association supporting research projects against paediatric cancer. Books sold after the launching event helped a 4 year-old Polish boy, Franek, touched by DIPG, an inoperable brain tumour. On March 29 in the evening, so in few days, there will be another event, a special challenge, meant to support a Belgian association helping children with cancer, “Ensemble Pas à Pas“, in collaboration with our colleagues from the EU Diving Club of the Commission. More info about this event can be found here on Intracomm. This is what we do. Please do not hesitate to contact us if you have a question and also please consider helping us organise our activities in the future, we are not many and any helping hand with maintaining the website, organising events, some emailing or some advice is always welcome! I would not close this message without special word of thank you to the HR BREY AMC WELL BEING team for their dedication, patience and kind words of support, as well as to all the colleagues who made this event happen.